Just in time for Mother’s Day! 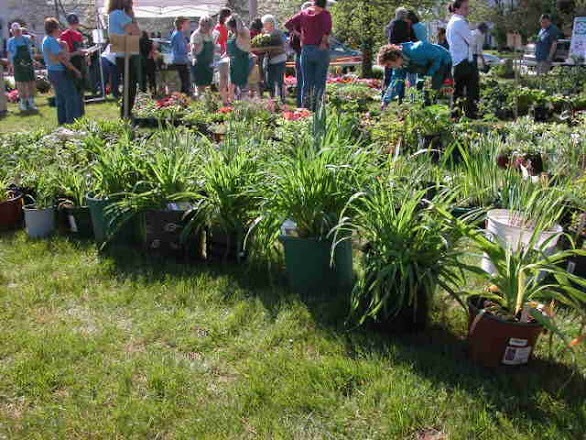 The Holliston Garden Club will be holding its annual plant sale on May 11th from 9:00 a.m. to 12:00 p.m. Find as at the corner of Hollis and Washington Streets on the Congregational Church Green. This year we are featuring an Ask A Master Gardener table and a Soil Testing table. Bring your questions for the experts, shop our reasonably priced annuals and perennials, and learn how to test your soil! Another summer is coming to a close, bringing cooler nights, the full corn moon, the delights of our harvest season, and the beginning of our Holliston Garden Club year! Our members represent a range of passions and interests: gardens full of blooming flowers, vegetable gardening, conservation, landscape design, floral design, and more. Dig in and join the fun! We will be hosting a Holiday Floral Design Show on November 2nd, featuring Candice Morganstern, one of the most accomplished floral designers on the east coast. And in March, just in time for another season of gardening, we are featuring a Vegetable Gardening Talk with Brittany Overshiner of Upswing Farm. Check out our upcoming events calendar or contact us to learn more about what we have cooking! How about gardening with less water, less fertilizer and less work? In this era of mandatory water bans and high water bills, sounds good, doesn’t it? The Holliston Garden Club cordially invites you to learn more about xeriscaping. What is xeriscaping, you ask? It is a landscaping and gardening approach that reduces or eliminates(!) the need for supplemental water from irrigation. March 6, 2018 at 7:30 p.m. This talk is open to the public! Mark Ahronian is a Massachusetts certified horticulturist with over 40 years experience and president of Ahronian Landscaping & Design of Holliston. He is on the board of Trustees at the Massachusetts Horticultural Society at Elm Bank Gardens. Mark also teaches and oversees the internship program on Landscape Design Fundamentals at Holliston High School. Loving this gorgeous collection of photos of wisteria from Japan! Gives us hope that spring will be here soon – for real! If you want to discover which plants are native to your area, check out this cool tool!